Now we are here with an amazing , which has many helpful and fashionable applications and possibilities to use it. We have constructed and DIY pallet end table supported on four legs. 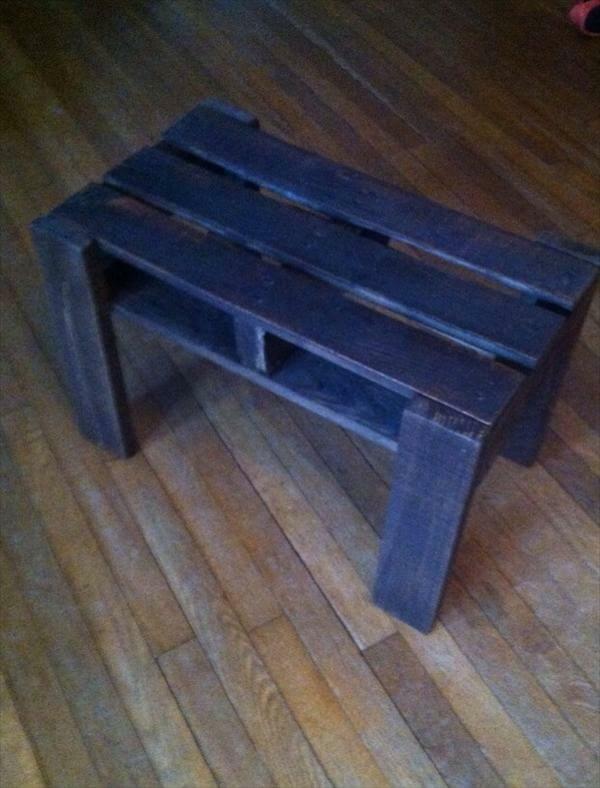 We can use it pallet bench for sitting home needs and can also customize it to make a coffee table. This can be amazingly useable for flower pot stand in yard or lobby of your home. Cool and simple structure, to go smarter in multiple ways of need and fashion in home or outdoor. Add it more charming and sensational glow by giving it desired color coat and pattern to it.